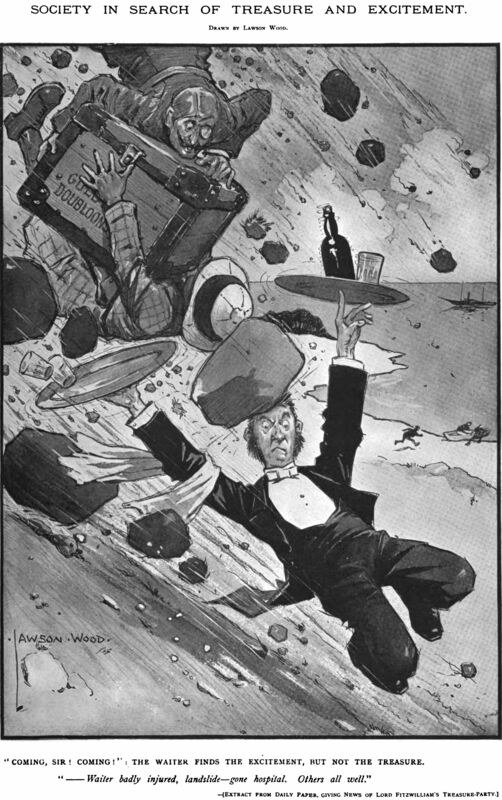 This image is based upon a news story about a waiter injured in a landslide. 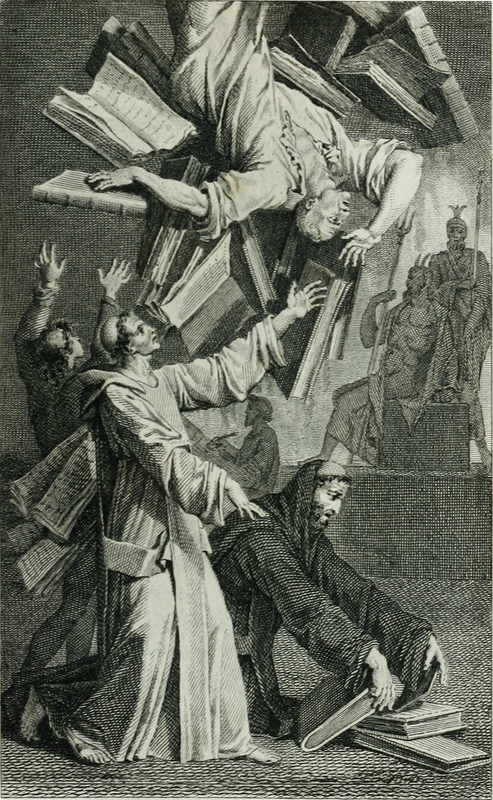 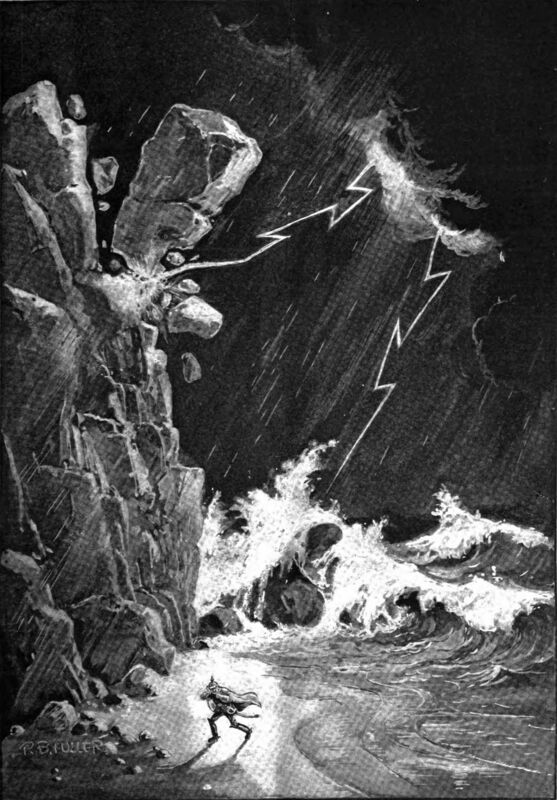 From The Sketch, 1905. 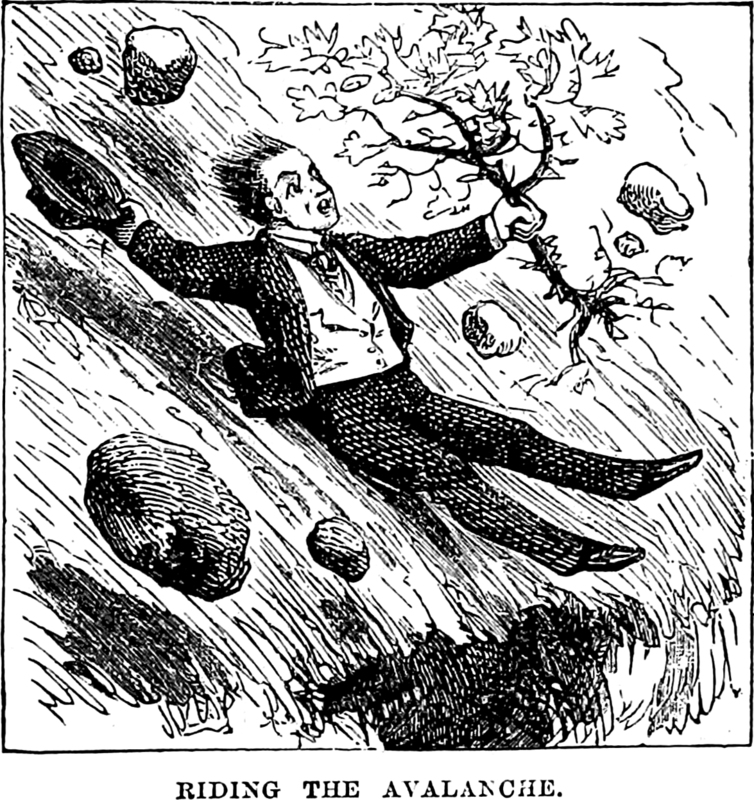 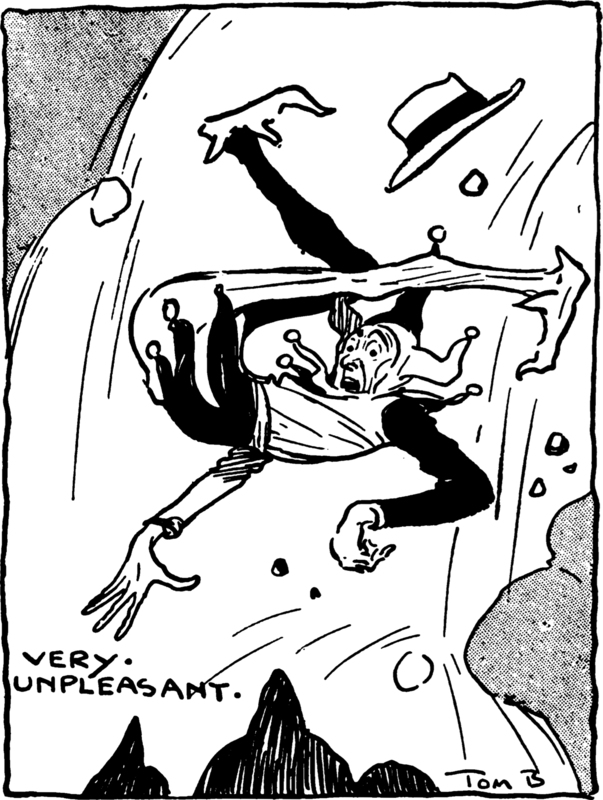 "Very unpleasant," from The Sketch, 1901. 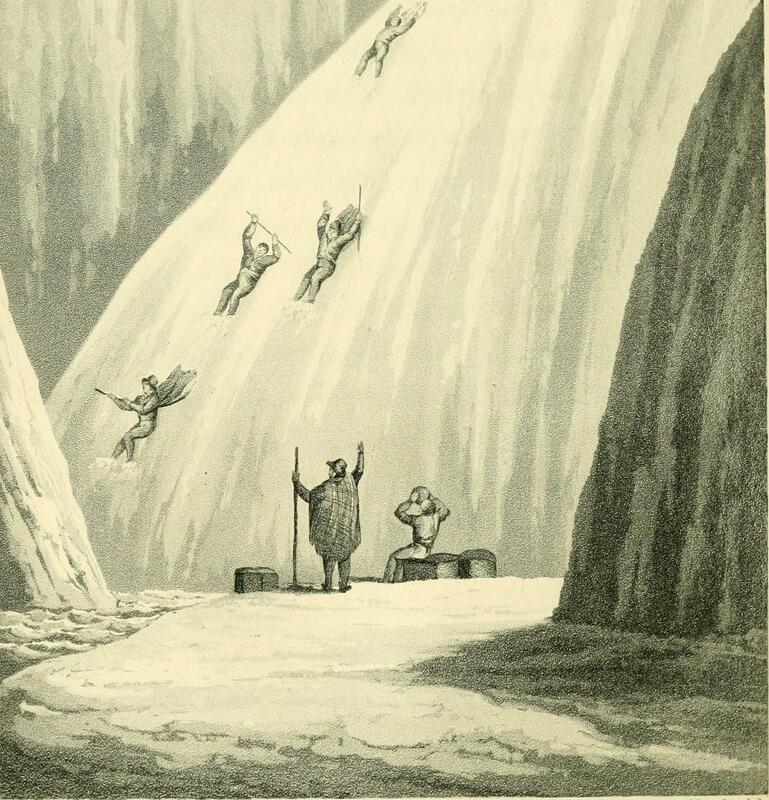 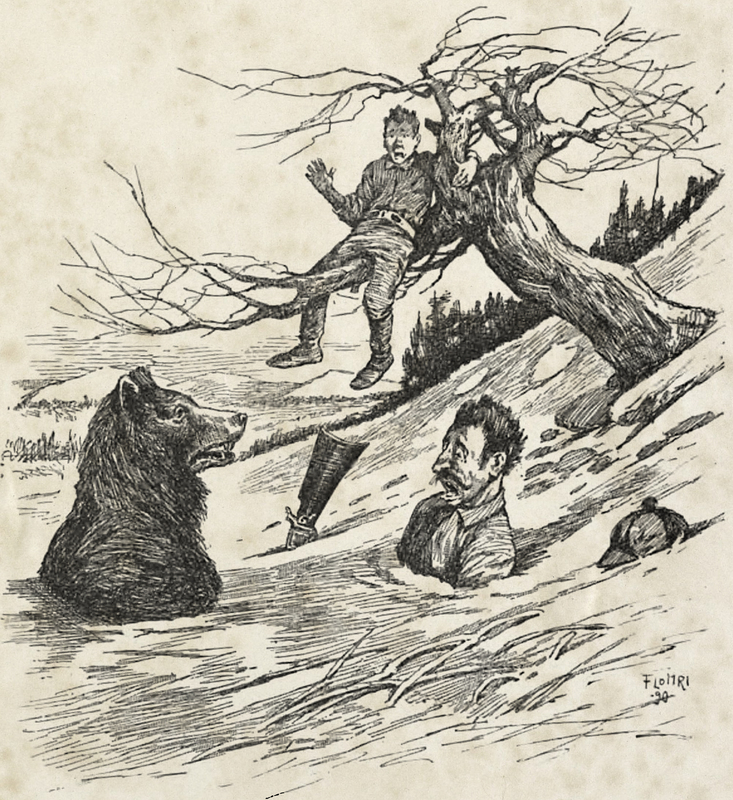 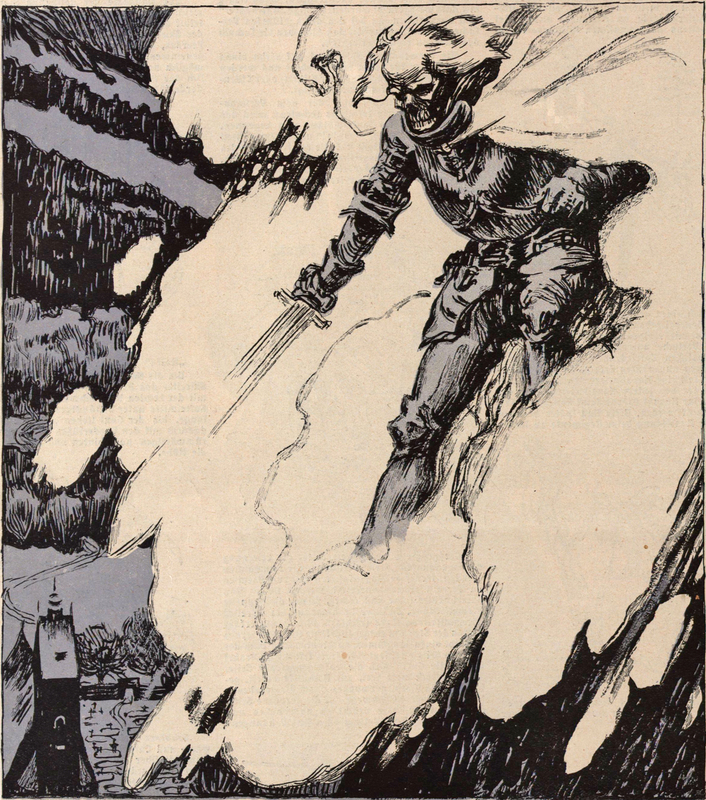 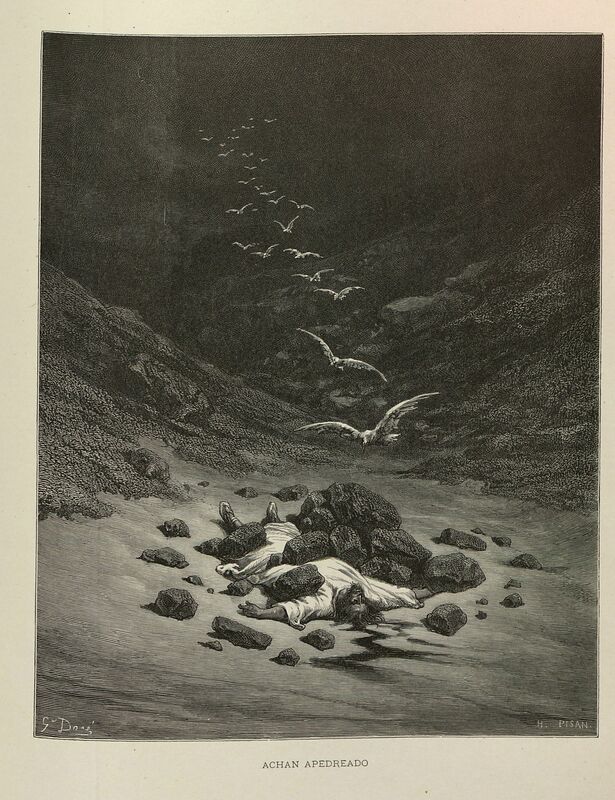 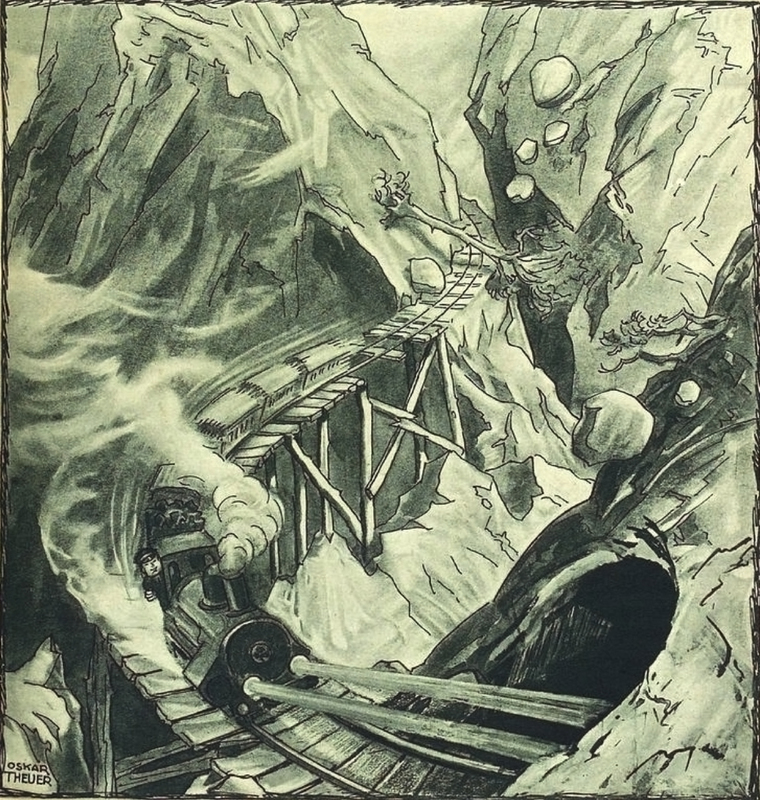 "Riding the avalanche" from Roughing It by Mark Twain, 1873.